Come on, any company that you would describe as having a rainbow glitter existence must be awesome, right? 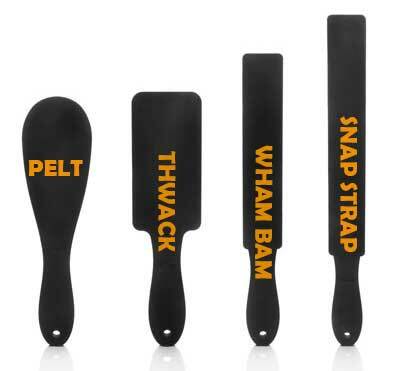 My first reaction was a little giggle, because of the names, but they all seen interesting, especially the Snap Strap. 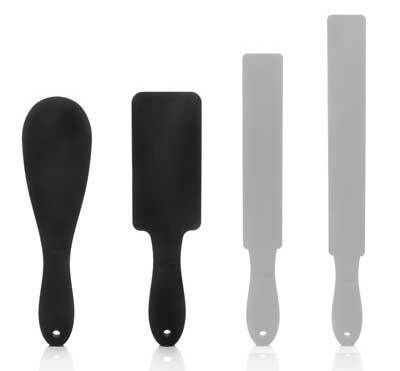 Although they look very simple, I think they would be perfect for many kinksters, since they are cheaper than regular paddles, an lighter. We own a self-made 1 KG wooden paddle. I can say.. it’s NOT travel friendly. But I checked Tantus’ website, and they do not have them listed. I wonder why. I know they are at SheVibe, but still. Oh and you made me curious.. I have never seen paddles made of glass. Who sells those? ~ Tantus has them listed in two places that I found, in the “New Items” and the “Sensation” category. 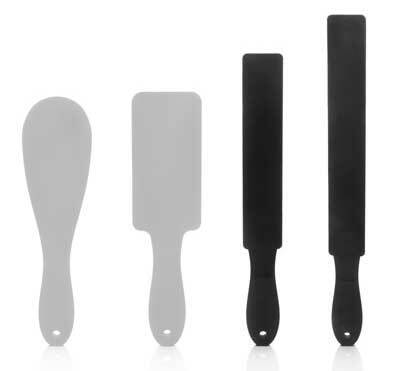 Also for glass paddles, that would be Crystal Delights. However, their site is kinda difficult to navigate and now I can’t find them.